Jordan Brand did not want to end 2012 without giving us a treat as they released a stunning kick on New Year’s Eve – the Air Jordan 1 Retro ’97 TXT. The Air Jordan 13-inspired kick is now available in Gym Red/Black colorway. The kick features a dotted paneling enhanced with a hologram branding. 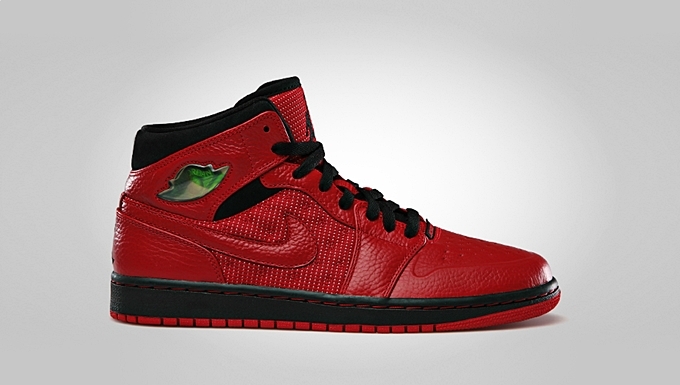 Gym Red hints dominate the entire kick with black touches on the lace and midsole of the kick. This could be available on a limited basis only so make sure to get your own pair now!